The flat-sharing giant faces stiff competition and regulatory risk in the People’s Republic, but that doesn’t mean it should cut and run like Uber did. Partnering with a domestic incumbent could help both sides cash in on China’s travel boom. 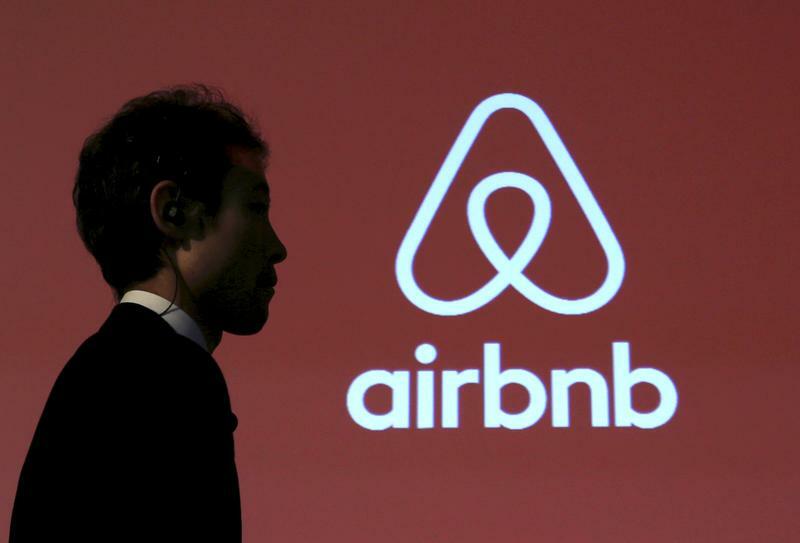 A man walks past a logo of Airbnb after a news conference in Tokyo, Japan, November 26, 2015. The short-term rental market in China grew 40 percent in 2017, according to research outfit Euromonitor, compared to 3 percent for hotels. There have been over 10 million guest arrivals by Chinese travellers in Airbnb listings around the world since the company was founded in 2008, over half of which were in the last year, according to a Airbnb press release. The number of outbound trips from China reached 130 million in 2017, up 7 percent from the previous year, according to a joint study conducted by online travel booking site Ctrip and the China National Tourism Administration. A promotional competition organised by Airbnb, which offered winners the opportunity to camp out overnight on the Great Wall of China, was cancelled after the Yanqing District cultural commission said on Aug. 6 it had neither received nor approved any application from the company, Reuters reported.